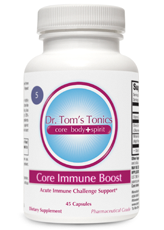 Dr. Tom’s Easy and Natural way to cleanse, detox, and lose weight. There are many methods to cleanse the body. Many choose water and juice fasts, colonics, or popular “fat burning” products (which often contain detrimental or overstimulating herbal ingredients). Some are billed as colon cleansing programs or liver cleansing programs. Some programs last a weekend or are 21 or 28 Day Body Cleansing Programs. Not only have I tried many of them but I have also seen many clients over the last 15 years who have also tried them. As a physician, I have come to realize that many many people are just too toxic, overstressed, and overwhelmed to do many of these intensive “extreme” programs like fasting or even juice cleansing by itself. Many simply do not make the time to do longer programs. Many simply do not like the taste of “Detox and Cleansing Shakes”. I have taken notes from all these cleanses and taken the best aspects from each and weaved them into a very easy & natural total body cleansing program. That is why I have put together my Easy and Natural Detox and Weight Loss Cleanse Kit. This 10 Day Body Cleansing Program is an easy to use kit containing products and my cleansing guide FREE when you order the kit. Its easy and natural and you eat plenty of foods. You do not fast, nor are you deprived of healthy foods. Its also is a nice length of time to discover cleansing for the first time without being overwhelming. Its also great for those have busy lives. Cleansing or detoxification is simply reducing toxins and chemicals in your body by increasing metabolism so that your body functions better. If your body functions better, you will notice more energy, vitality, and a general sense of wellness. You may also prevent age-related diseases like cancer, obesity, heart disease, arthritis, and depression. Cleansing changed my life and it can do the same for you. Its a simple process with many benefits (although it may be challenging changing unhealthy behaviors.) All it takes is the courage to take a leap and belief you can do it! You will soon realize that not only can you make changes, like giving up coffee and bread, but you can thrive without them. What are toxins in the body? Are we all toxic? Toxins may be external or internal in origin. External toxins can put undue stress on our detox organs and overwhelm them especially the liver and kidneys. Internal toxins result from improper digestion and metabolism of toxins in the gut. We are living in a dirty world. There are approximately 100,000 chemicals that are used commercially and 25,000 (25%) are known to be hazardous to human health are possibly linked to cancers, autoimmune disorders, and obesity. The Centers for Disease Control and Prevention reports that hundreds of these chemicals are present in our bodies. Research shows that 100% of human fat cell biopsies show elevated levels of toxins, some of include heavy metals, benzenes, PCBs, organophosphates, and many others. Research has shown that many of these chemicals can disrupt our immune, endocrine, nervous, and reproductive systems. Cleansing can fundamentally change who and what we are. How do our bodies naturally detoxify? If the liver gets overloaded with toxins, you may experience increased sensitivities to medications or drugs, hormonal imbalance like PMS, and the emotions of anger, irritability, impatience. DO YOU NEED A CLEANSE? 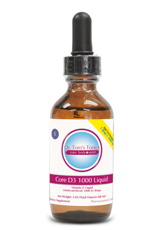 • absorbs water and electrolytes, and fat soluble vitamins. If you have a history of or are currently constipated, I would encourage you to correct this as your risks for serious disease go up dramatically for things like cancer. Chemicals that are metabolized by your liver end up in the colon and will be reabsorbed if you do not eliminate daily. One way to help prevent breast cancer is to NOT be constipated. DO YOU NEED A CLEANSE? If you your lungs are overloaded, you may be also have be more prone to grief and disappointment. Lungs are very much connected to your colon as well. So if your colon needs cleansing, your lungs probably do as well. • through sweating, you have one of the only ways to detoxify heavy metals in the body. • has to work harder when the other organs of elimination (detoxification) are overwhelmed by toxins. You most likely will be prone to more skin rashes if this were the case. DO YOU NEED A CLEANSE? This was written in 1962, imagine now our situation. As a Naturopathic Doctor, I firmly believe that cleansing is vital to our health and longevity. Cleansing and detoxification is one of the oldest self healing traditions we have and still one of the absolute best. Cleansing is about letting go on all levels of “stuff and things” that do not support your health, happiness, and vitality. Those that argue the validity of cleansing probably have never done one and are coming from a place of what they were told. Would you drive your car for 10 years without an oil change? Would you live in your house for 10 years without once cleaning it? The answers to these two questions is simple. In fact, most of you would not even consider not cleaning your car or house. Cleansing is this same process…its an oil change, it’s spring cleaning. You have ONLY one body,which houses your brain and spirit. If you do not regularly cleanse, you will be overloaded with toxins and you will feel this as symptoms in your body. We must treat our bodies with the same attention as we do our cars and houses. We can loose our car and house and still survive and thrive, but we cannot live without our bodies. Even though we may live in a dirty world, we do not have live in a dirty body. • Increased awareness about what foods, habits are good for you and which may contribute to your symptoms. 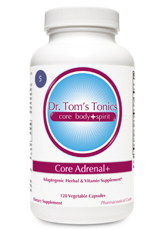 Take the Detox Quiz or get Dr. Tom’s Easy & Natural Detox & Weight Loss Cleanse Kit. Get the complete Cleansing Kit today.